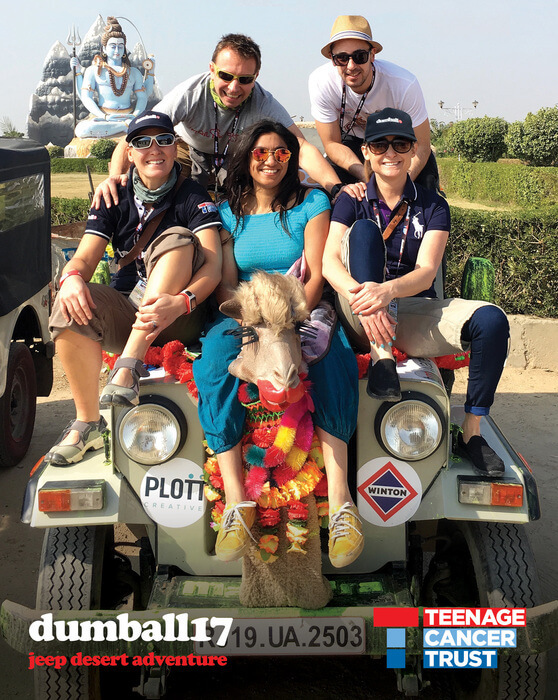 Winton recently sponsored its marketing partner PLOTT Creative to complete the world famous Dumball rally as part of efforts to raise £1million for Teenage Cancer Trust by 2018. 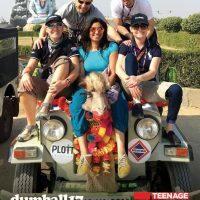 The Camel Sutras, a team of four led by PLOTT managing director Anna Plotnek, embarked upon the gruelling Dumball Rally in January 2017, proudly undertaking their journey in a Winton and Plott Creative branded jeep. The annual ‘festival on wheels’ sees a colourful convoy of archetypal Indian Mahindra jeeps travel 2,000 miles from Jaipur to Goa within an eight-day time limit. Anna told us: “It was a massive test of endurance in our elderly jeeps, but the camaraderie and adventure was amazing. Life is all about new experiences, which is why this challenge struck a chord with us – the chance to do something truly unique for a very worthy cause. For over 24 years, national charity Teenage Cancer Trust has been funding world-class cancer services for young people in the UK, providing life-changing care and support so young people don’t have to face cancer alone. Please visit Teenage Cancer Trust to donate.